Frugi MD Lucy Jewson is pictured in the company’s extended premises with Oxford Innovation business coach Peter Haycocks. 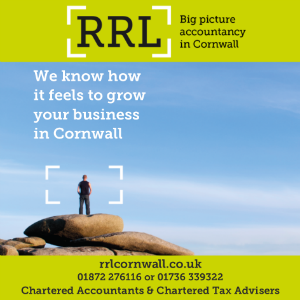 The first Cornwall business to receive specialist support that addresses the complex management issues associated with rapid growth is extending its base in the county in order to meet customer demand. Frugi, which designs and manufactures organic clothing for children and mothers, was the first business to participate in the Stepping Up programme delivered by Oxford Innovation. Stepping Up is part of the Coaching for High Growth programme, a £7.7m investment made by the European Regional Development Fund (ERDF) to support Cornwall businesses. The Stepping Up element places a particular emphasis on businesses experiencing exponential growth. 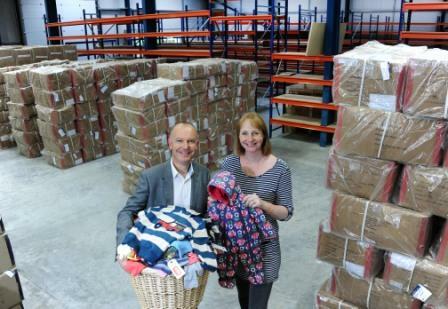 Lucy Jewson, founder and managing director of Frugi confirmed the business is extending its premises at the Wheal Vrose Business Park in Helston by over 8,000 square feet, more than three times the size of the existing site. Jewson said: “Since our launch in 2004 we’ve experienced annual growth of almost 40 percent. Frugi manufactures clothing for babies and mothers from ethically-sourced organic cotton. The business employs 50 people and last year recorded a £4.5m turnover.